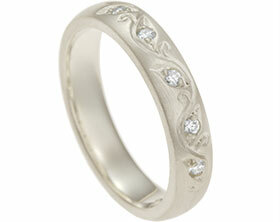 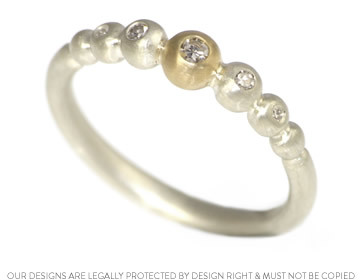 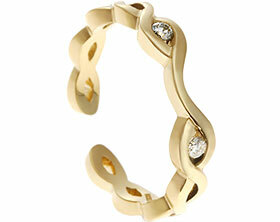 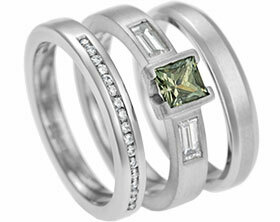 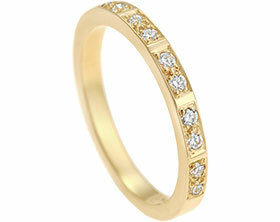 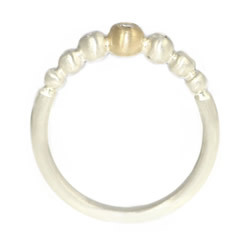 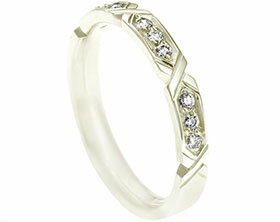 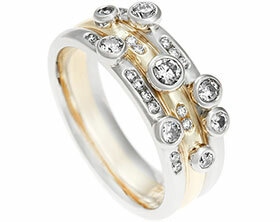 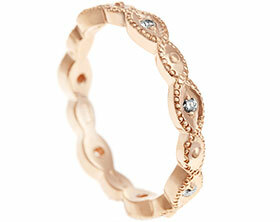 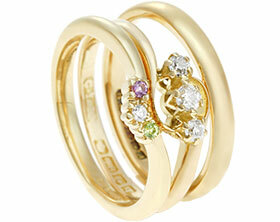 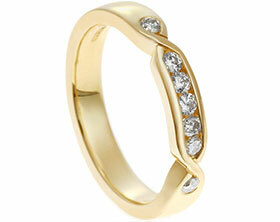 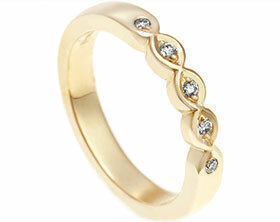 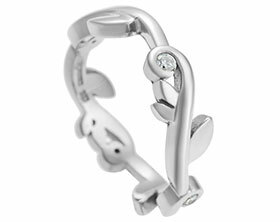 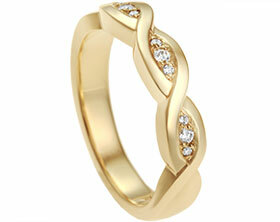 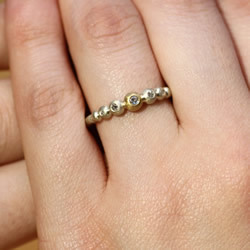 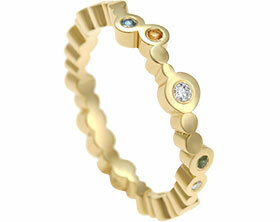 This stunning 9ct white gold and yellow gold ring is made from Fairtrade gold, and uses recycled diamonds. 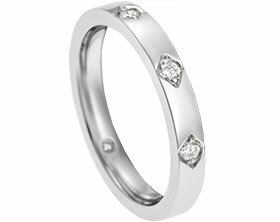 Invisibly set into five of the spheres is one 2.1mm 0.05ct recycled brilliant cut HSi diamond, two 1.7mm 0.02ct recycled brilliant cut HSi diamonds and two 1.2mm brilliant cut HSi diamonds. 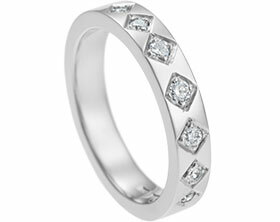 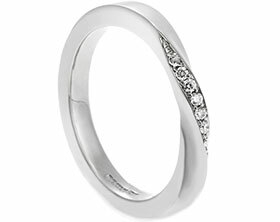 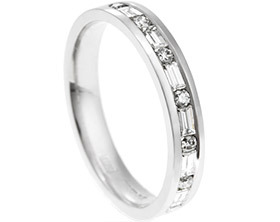 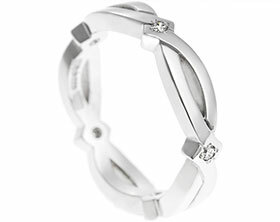 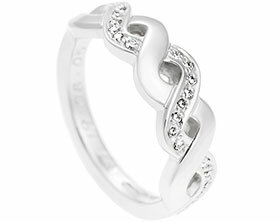 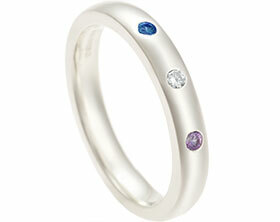 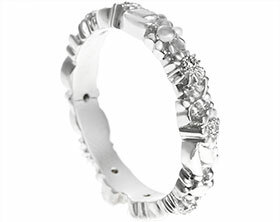 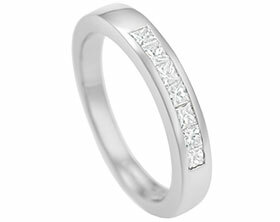 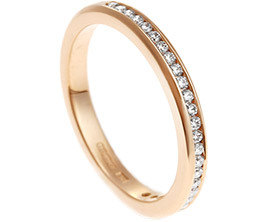 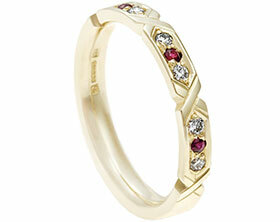 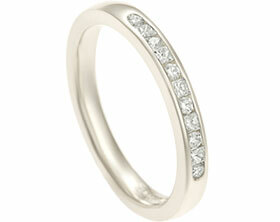 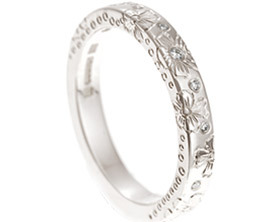 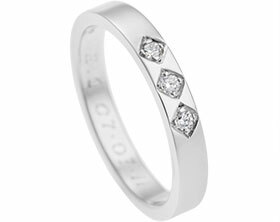 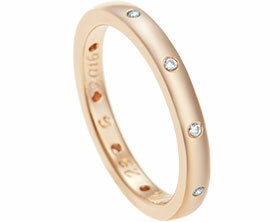 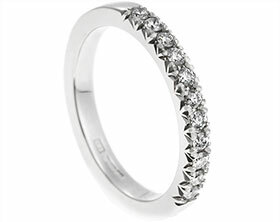 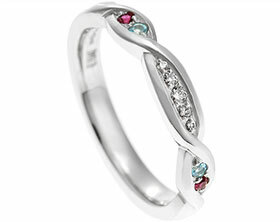 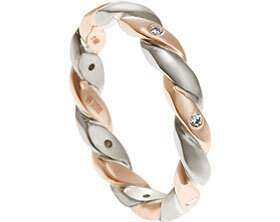 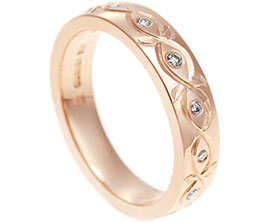 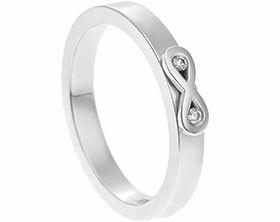 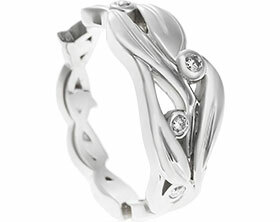 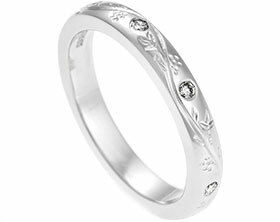 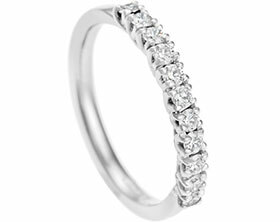 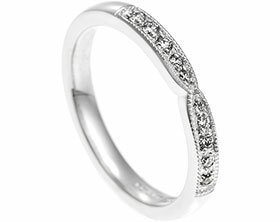 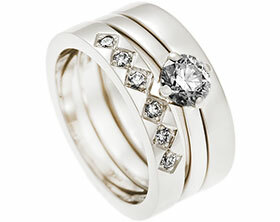 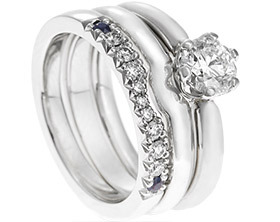 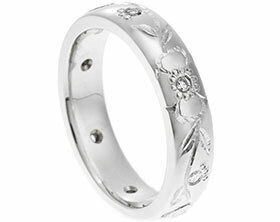 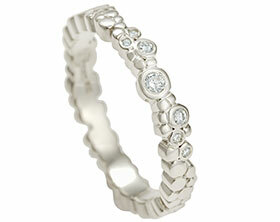 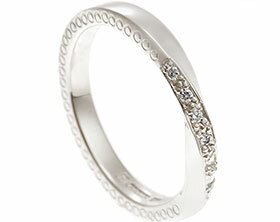 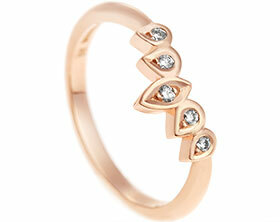 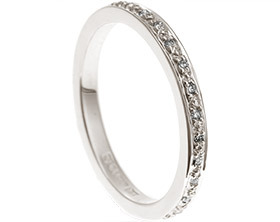 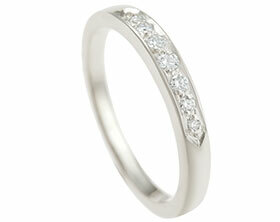 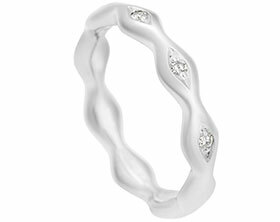 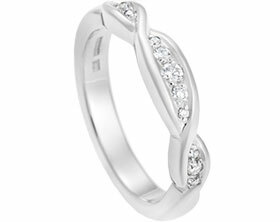 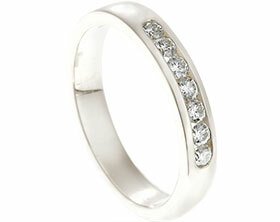 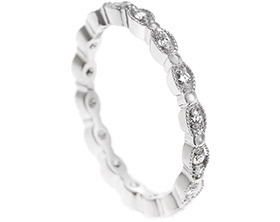 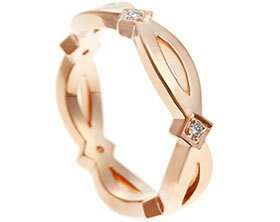 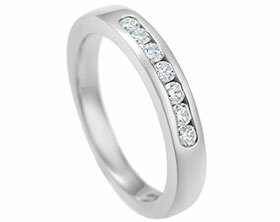 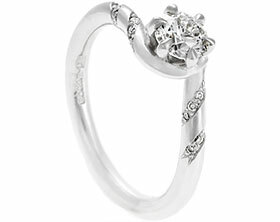 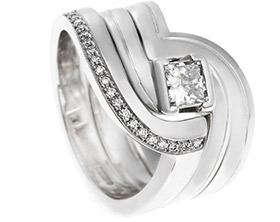 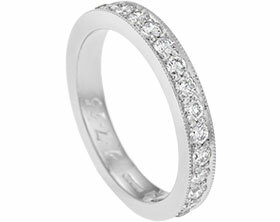 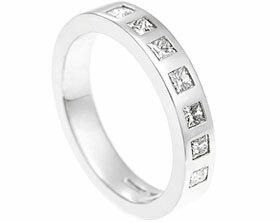 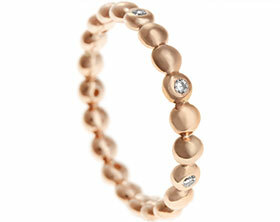 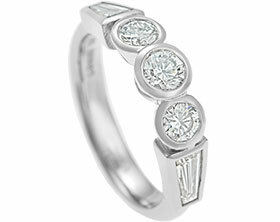 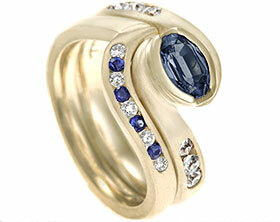 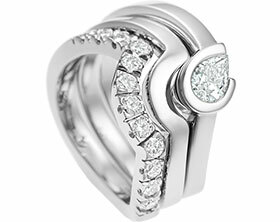 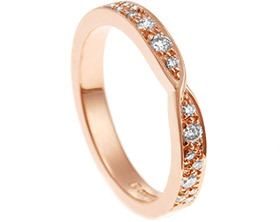 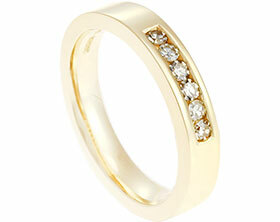 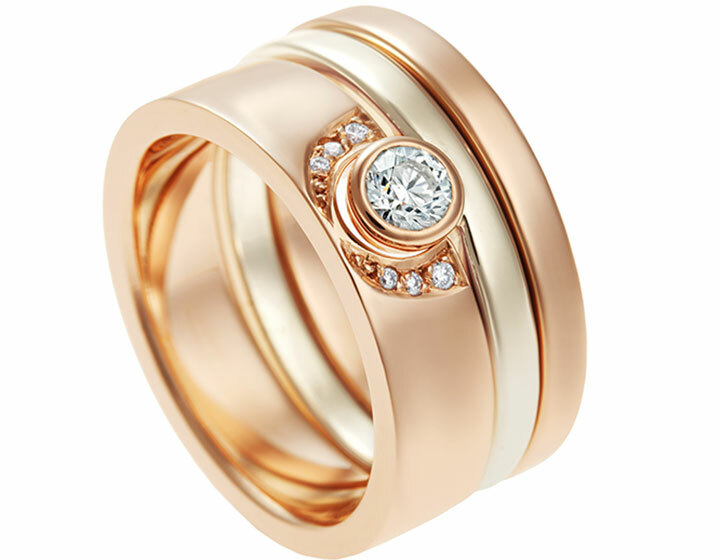 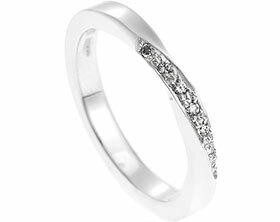 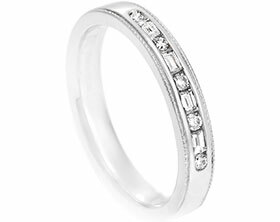 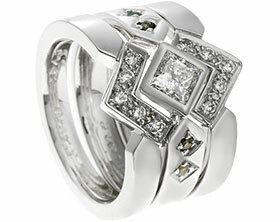 The ring has been given a satised finish to really emphasise the sparkle of the diamonds. 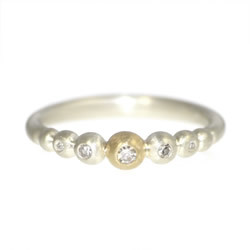 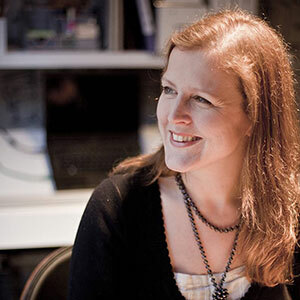 The three central diamonds have been recycled from a glamorous brooch that Harriet bought at auction in order to reuse the stones - it is rather nice to think that they were swanning around a ballroom in a bygone era and now have become the focal point of this lovely ring which is also a great ethical choice.